Situated near the French Quarter in New Orleans, this luxurious hotel is close to museums, attractions and a wide array of restaurants. This landmark hotel provides an elegant sanctuary in the vibrant Mardi Gras town. Relax at the exclusive Waldorf Astoria Spa, enjoy live music at the Fountain Lounge and Blue Room, and indulge in Italian cuisine at the award-winning Domenica. Experience spacious and exquisitely styled New Orleans luxury hotel rooms and suites, featuring modern amenities, unique style, and Southern hospitality. 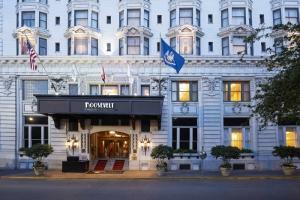 Situated on the edge of the French Quarter in New Orleans.